Building Blocks LLC offers a complete turnkey home-land package utilizing the latest in custom	modular	homes. We have well over 100 exciting modular home	designs	to choose from with a wide range of pricing structures as well as many choice private wooded lots for your new home. All of our designs are flexible and can be customized to suit your life style requirements as well as your budget! Our carefully selected team of experienced	craftsmen will complete the details so you can just move in! All of the home standard plans presented here are customizable to suit your needs. If you don't see what you want simply bring in your ideas and explore the economic and flexible nature of modular homes with us! 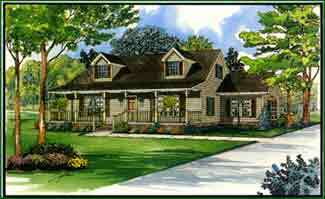 Below are but a few of our many home plans. Simply click on the thumbnail picture for the corresponding schematics.